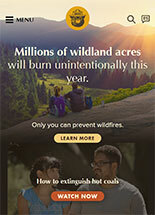 A celebration of Smokey Bear's 75th Birthday followed by a showing of "Your Home Can Survive A Wildfire" by Anthony English of the Georgia Forestry Commission. Birthday cake and refreshments will be provided along with informational handouts. Please RSVP to mcatesatty@att.net. 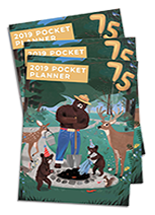 This year's annual event will include a celebration of Smokey Bear's August 9th birthday with a Smokey Bear appearance, cake, and fire prevention material handouts. Georgia Wildlife Federations Great Outdoors Show will be held at the Georgia National Fairgrounds, in Perry from Feb. 8 to 10. This event forays into categories like Sporting Goods, Toys & Games. Smokey Bear will be onsite for pictures.